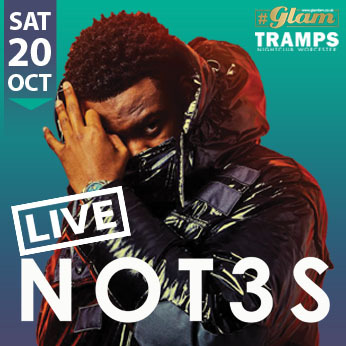 GLAM Presents LIVE Performance from Urban Superstar Not3s! Really excited to announce that the rescheduled event for NOT3S will be on October 20th. One of the biggest stars in the UK will be performing live @ Tramps. Welcome Week 2018 Wristbands can be used as entry for this huge event.